A Euro pallet, in order to be officially considered a Euro pallet (based on the standard of the International Union of Railways), must be stamped with the EURO symbol along with an indication that it was produced by a registered member of the European Pallet Association (EPAL), which is a non-profit organization dedicated to maintaining high-quality pallet standards. Often used for industries such as food and beverage, pharmaceutical, industrial, commercial and retail, Euro pallets provide a standard size that allows companies to know exactly how many containers can fit in a set area of space, such as a shipping container. American exports to Europe that are not packaged on Euro pallets can be a major frustration for importers in terms of waste disposal costs and taxes. Recent measures by European governments to reduce the amount of waste caused by excess packaging materials have subjected many business that deal in American imports to costs associated with disposal of the American pallets, which are effectively useless in Europe. The size for the Pallet EUR is 1200mm x 800mm x 120mm, or in US standard measurements, 47.24in x 31.5in x 4.7in. This type of pallet is designed to fit through most average-sized doors. The size for the Pallet EUR 2 is slightly larger, and is measured at 1200mm x 1000mm, or 47.24in x 39.4in, and is very durable. Similarly, Pallet EUR 3 is measured at 1000mm x 1200mm, or 39.4in x 47.24in, which is the reverse of Pallet EUR 2, making it large and durable. Lastly, the Pallet EUR 6 is widely known as a “half pallet” because its measurements are 600mm x800 mm, or 23.7in by 31.5in, making it precisely half the width of the Pallet EUR. The EPAL has standardized the precise design of EURO pallets down to the number and position of nails used. 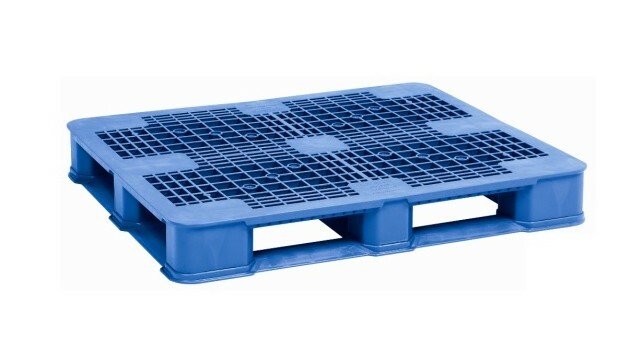 Euro Pallets Euro pallets, also called E or EU pallets, are plastic pallets that are used for storage and transportation of materials to, from and within Europe. 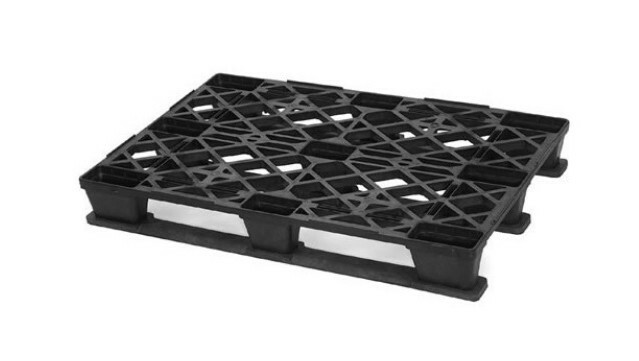 The original wooden Euro pallet design was developed by Swedish companies in the 1940s, but plastic versions of this pallet configuration are beginning to emerge due to the many advantages of plastic over wood in storage and shipping applications.